In today’s digital-first world, consumers expect an instant service with immediate results. 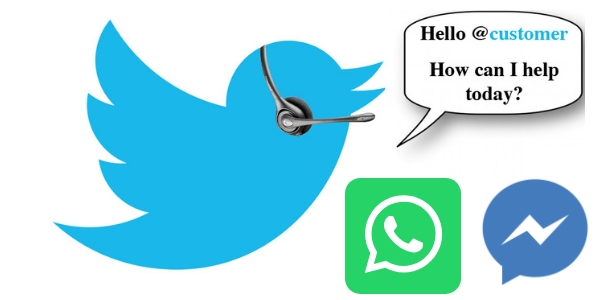 That means it is extremely vital that brands take the same approach when it comes to delivering customer service, including on digital, social mediums such as Facebook Messenger, WhatsApp and Twitter. Speed. People’s attention spans are quick. By providing a timely and speedy response to an inquiry is essential if you want to keep a customer happy. Resolvement. For a successful social customer experience to occur it is important to try to get the issue resolved in-channel rather than it being deflected to a traditional customer service channel. It is also key to try to get the issue resolved in a single interaction and it not taking multiple sessions. Human Engagement. It is extremely essential that an actual human handle digital customer service inquiries. That’s because consumers still have mistrust with artificial intelligence and Bots, especially when it comes to seamless customer service issues. As social messaging channels increasingly become part of a brands digital care architecture, messaging volumes are going to rise. To keep up with the volume one approach maybe to create a bot-to-agent handoff. If done properly, this seamless workflow integration may be okay and accepted with customers as long as you are completely transparent upfront. If you are looking to get into the social customer service arena properly and effectively you will want to make sure everyone on your team is on the same page when it comes to interacting digitally with customers and meeting their expectations. This can be accomplished by creating a playbook that becomes a go-to resource for agents and team members. This way you will align their work with your company’s objectives and values and be able to refer to real examples for tone of voice and engagement. In addition, it becomes a go-to resource for any situation they may face. For assistance with drafting this perfect social customer service playbook for your business or brand contact The Interactive Imprint today at 954-254-1650 or visit TheInteractiveImprint.com.